Our estate vineyards provide Malbec fruit of uncommon depth and complexity. Meticulous attention in the vineyard, picking at peak ripeness and gentle handling, combined with 18 months in French oak contribute to making this a wine of distinction. Sun drenched blackberries, cassis and hints of dried lavender meld with integrated oak, velvety tannins and earth to create a balanced wine. This wine will continue to improve for five to seven years. Pair with foods such as smoked wild boar with a verjus and cherry reduction sauce. This is a dark inky wine from the Abacela vineyard and winery in the Umpqua Valley. The nose is dark fruit, cherries and plums, floral overtones and esters. The mouth feel is quite full with a tart deep fruit and tart acidic layer leading to a very full tannic finish. This is a really good expression of Malbec from Southern Oregon comparable to any good Argentinean Malbec and will compliment any rich food. Drink now but it will improve further over the next five years." 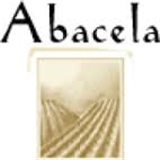 "Abacela's handful of estate acres constitute much of Malbec's Pacific Northwest plantings. But the results indicate that perhaps there should be more. 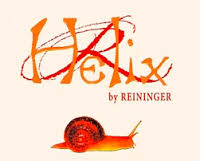 A sweet, smoky, floral intro persuades while complex flavors led by dark berries and oak convince. Good balance seals the deal."